One Year [ j ] anniversary! — janny: organically. When I started this journey, I was driven by a desire to share information, and to this day, that is still my driving force. Whether I'm discussing the toxicity of ingredients, corporations or environment, I am emotionally charged to help others arm themselves with information and advocate for their health in a world full of deception and misinformation. Because my posts range from light-hearted product reviews, to complicated health issues, to raw parenting moments and even those controversial topics, my blog has nuzzled itself into the 'Lifestyle' category, of which I'm absolutely thrilled. Moving forward, you can continue to count on me researching a variety of topics and sharing my findings. I want to be as relatable and approachable as I can on all topics such as health, motherhood and wife-life. I want to be a source of help or comfort or voice for those who feel helpless, unmotivated or uninformed. 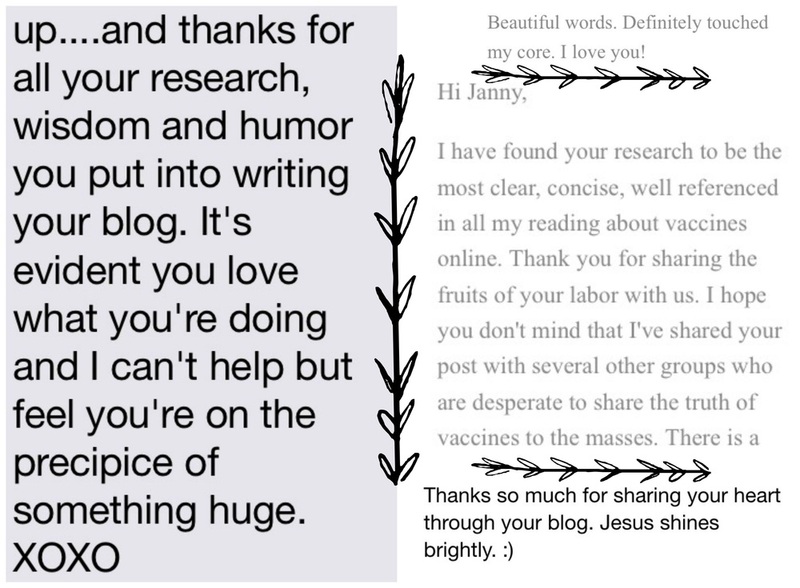 The first e-mail I shared at the top left was from a reader with PCOS struggling with infertility and acne. She just emailed me this morning to tell me our conversations on how to regulate her hormones and blood sugar ultimately allowed her to get pregnant! How amazing is that?! When I get to read emails and stories like this, I realize how thankful I am for the struggles I used to let consume me. Not only did God change me through them, but he didn't allow me to waste them. He allowed me to share my experience so that others could benefit. That's all I can ask for. Naturally, I'm so stoked that my family and friends who've not only hung in there with me but been my biggest cheerleaders and support system, all the while being a continued source of inspiration. And also you, those who have continually read, shared, commented and e-mailed; you all are FANtastic. I can only pray I am able to retain your readership (that can't be a word) with new and riveting topics. I have some exciting things to share with you all soon! For now I'd like to show my appreciation to my readers with a little giveaway! Just let me know in the comments below what your favorite post or topic has been! Head over to my instagram page for more chances to win! Winner will be picked on janniversary day (aka 8/14/15). Congrats Erin, Firefly Fields Living! Going Green Doesn't Have to Stink! + an Osmia GIVEAWAY!